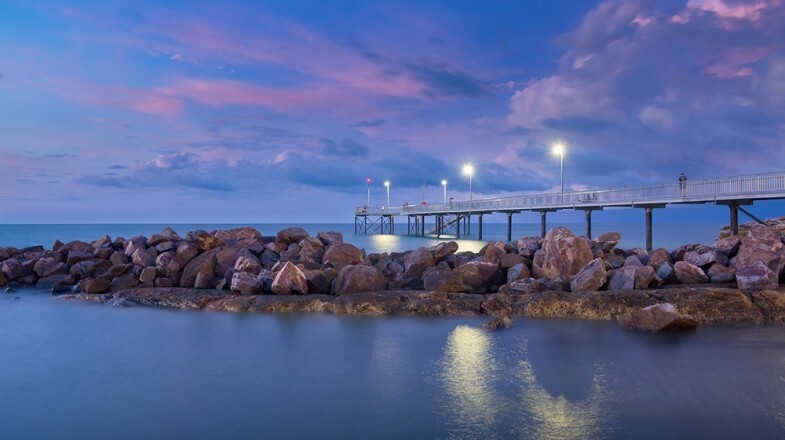 Darwin has several waterfront venues where you can spot some stunning sunsets. As the capital of Australia’s Northern Territory, Darwin is a laid-back destination, promising an adventure filled with outdoor escapes and colorful characters. From its vibrant markets to its cruises and crocs, Darwin has an undeniable Aboriginal feel to it and is one of Australia’s only tropical paradises; it’s the perfect place to kick back and enjoy a magnificent blend of the outback and the tropics. There are a lot of things to do in Darwin. You may choose to revel in the rich history, get your share of retail therapy at the markets, or simply lose your heart in its natural beauty, but however you choose to spend your time, there are a few sites you simply can’t afford to miss. Read on to find out Darwin’s top points of interest, listed in no particular order. Consisting of nine small islands, the Tiwi Islands are a popular point of interest in Darwin and also home to native Australian folk who are believed to have inhabited the islands for at least 7,000 years. The islands offer visitors a unique opportunity to immerse themselves in the vibrant cultures and rich history of the area, but they are also a great hangout for nature lovers looking to explore something off Australia’s beaten path. Good to know: You can book a trip to the Tiwi Islands by visiting one of the charter boat companies located at the waterfront complex. These islands can be visited any time of the year, but for a great beach escape, try heading here during the dry months between April and September. Heads up history buffs, if you’re keen on learning more about Darwin’s World War II history, the Darwin Military Museum is the place to visit! While visiting the museum you’ll be able to get behind the details of the city’s significance in the war, and after taking it all in, you could always do the Defense of Darwin Experience, a multimedia experience telling the stories of those who participated in defending Australia during the WWII, which can be found located adjacent to the Military Museum. Among the other things to see in Darwin, there’s the Cenotaph overlooking the Darwin Harbor and the Aviation Heritage Centre, both of which were central focus points during the war. Good to know: The museum is open 7 days a week, but hours change depending on the season. Make sure you check the website before visiting. There is also an entrance fee. 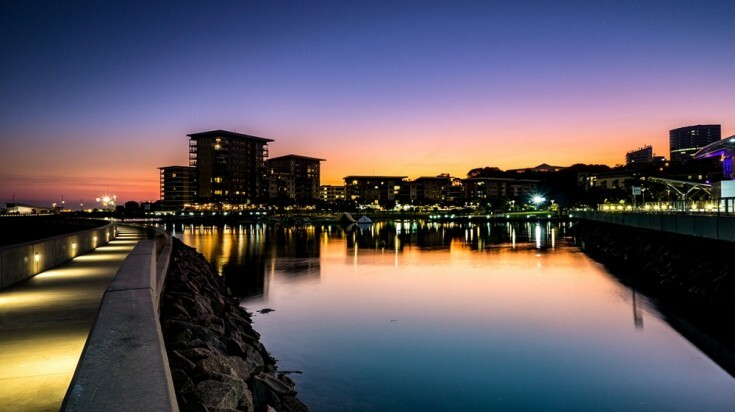 Take a walk along Darwin harbor and discover the city's watery charms. Speaking of the Cenotaph which overlooks the harbor, the Darwin Harbor is a site you can’t afford to miss out on seeing. Perhaps you’re into sampling some of the local cuisines on offer along the waterways, or maybe you’re just looking to grab a sundowner after a long day of exploring. 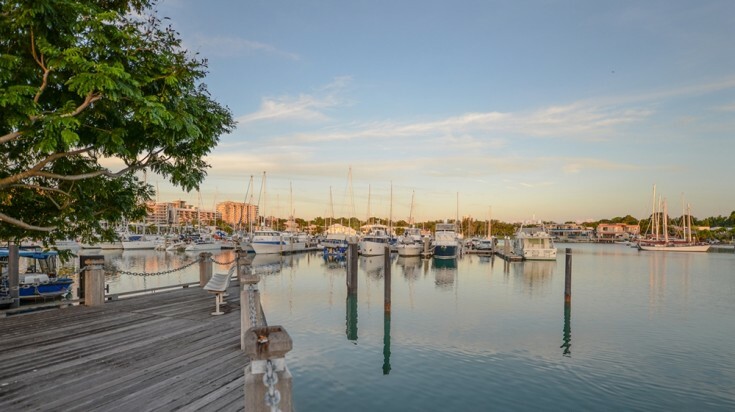 Whatever you do, make sure you consider taking a walk along the Darwin Harbor to learn more about the city’s watery charms. The Mary River wetlands is a great place to discover the Northern Territory's exotic wildlife. It might not seem like much during the dry season, but with the onset of the rainy season, the Mary River wetlands are transformed into an inland sea — and yes, it’s infested with crocs — but it also offers some of the most spectacular encounters with the Northern Region’s unique bird and fish species. Nature lovers should definitely not allow this opportunity of getting to know the local wildlife pass them by. It’s one of the best places to visit in Darwin. Good to know: The Mary River Wetlands are located 110 km southeast of Darwin, so you may want to hire a car or take a tour that includes the wetlands. Amidst the whizz of the city, you’ll find a peaceful escape — the Darwin Botanic Gardens. Filled to the brim with lush, tropic vegetation, the botanic gardens are the perfect place to kick back and re-center. The gardens offer a range of walking trails for visitors looking to stretch out their legs, and for those that don’t do as great with walking, the tranquility of the waterfalls within the garden should do the trick. Good to know: The gardens are open from 7am to 7pm. There is also an extensive children's playground and play area for people visiting with kids. Darwin has a large Chinese community and its own Chinese Temple, which happens to be one of the city’s top attractions. By visiting the temple, you’ll be able to learn more about the history of the Chinese population of Darwin, but most importantly, you might just lose your heart to the beauty of the temple itself. Good to know: The temple is open every day between 8.00am and 4.00pm. There is also a museum, but it has different opening times and is not open all year, so be sure to check before visiting if you are interested in seeing this. We all know that traveling can be exhausting, which is why a spa-like experience might be ideal for rounding off your trip to Darwin. Douglas Hot Springs form a lush oasis amidst the dry woodlands, and while it’s a relaxing experience to kick back and soak in the hot waters, you’ll also be amazed by the natural beauty of the area’s rich fauna and flora! Although the hot springs are located 200 km south of Darwin, soaking up the serenity of the hot springs is often rated as one of the best things to do. Good to know: The hot springs are 200 km south of Darwin, so be prepared for a long day if you plan on making this a day trip. Camping is also available in the park if you want to stay overnight. Make sure you check that the roads are open if you plan on driving in the wet season. A sunset view from Mindil Beach in Darwin. Even within the city, you can find some interesting spots to enjoy the sunsets. Don’t miss one of the stunning sunsets here. 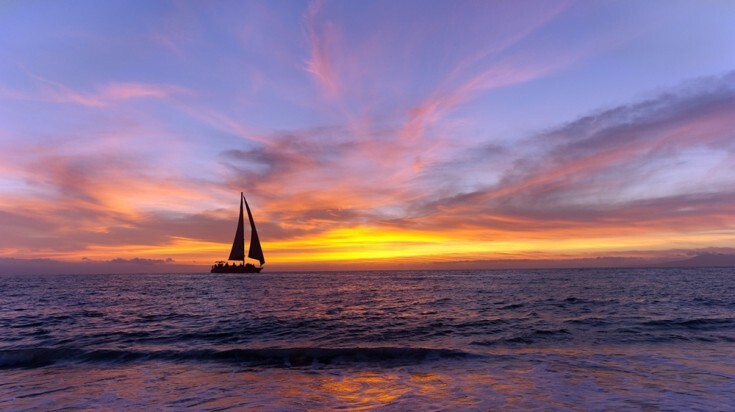 Darwin has quite a lot of waterfront venues, but regardless of whether you choose to enjoy the sinking sun at an establishment or one of the fine beaches such as Mindil Beach, Cullen Bay, or East Point Reserve, viewing a tropical sunset while you’re here is a must. 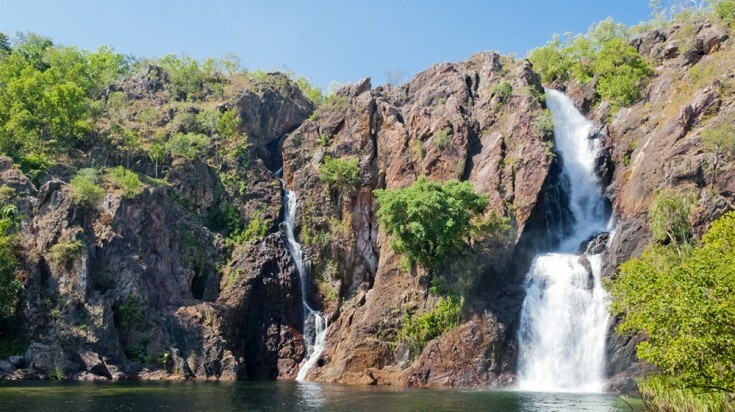 Take a trip to Litchfield National Park and you will see some of the best waterfalls. 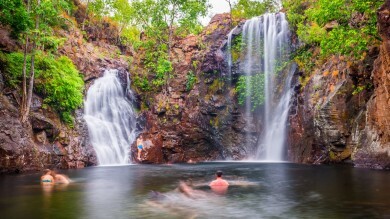 Listed among the best national parks in Australia, Darwin’s Litchfield National Park, located about 140 km or an hour and a half ride away from the city is where you’ll see some of the most spectacular waterfalls. You can even get the opportunity to cool off in some of the waterholes. Some folks refer to this park as nature’s own waterpark! Good to know: The park is approximately 120km south-east from Darwin. Don't forget your bathing suit! Darwin's Litchfield National Park is home to magnetic termite mounds, the only type of termite mounds that align from north-to-south directions. 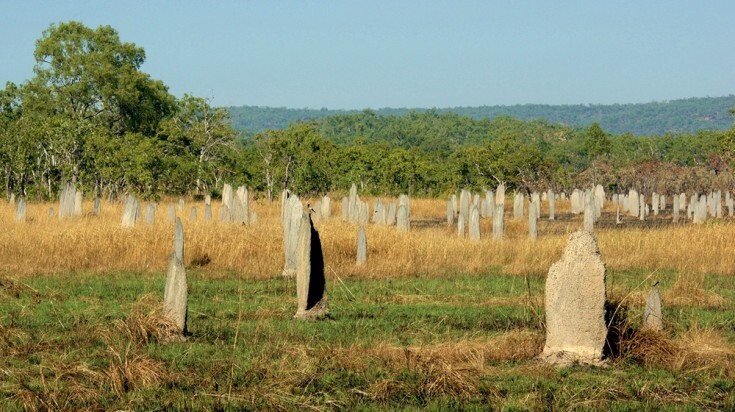 While you can find termites and their mounds in every continent on Earth, only Australia is home to the “magnetic” termite mounds, which were given their names because they align in north-to-south directions. These termite mounds are located in the Litchfield National Park. Some of the termite mounds here, stand up to two meters high, and they’re truly unique, complete with their little nurseries, chimneys, and tunnels. You can see the mounds from the platform or boardwalks, which allow visitors the best views of these natural pieces of art. Celebrated annually in the month of August, the Darwin festival is an 18-day event that includes vibrant music, exhibitions, theatre, art, international performances and of course, the cuisine. A festival that started half a century ago as a parade of floats, has now evolved into Australia’s biggest arts festival. Highlighting the indigenous culture, Darwin’s relaxed, friendly vibes and the cool August weather, the Darwin Festival is definitely a reason to visit Darwin at the time of the festival. Good to know: In 2018, the festival runs from August 9 to the 28th. Don't miss out! 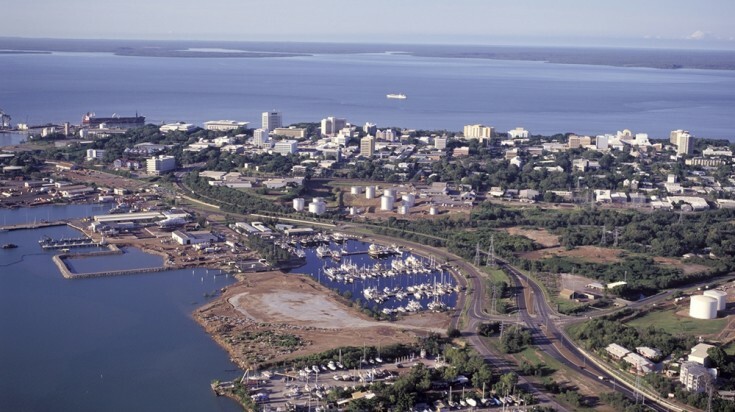 If you’re planning on doing a lot of sightseeing, the best time to visit Darwin would be in its dry season, which runs from April through September. It’s often described as the best time of the year for enjoying the city’s clear blue skies, warm days, and perfectly balmy nights. Pick and stick to a base. A good central point to base yourself at is the Darwin Waterfront precinct, since most sites and activities are located close to the waterfront. Alternatively, you can also rent a car to visit the top sites in Darwin. Check out VroomVroomVroom for car rentals in Darwin and other key locations in Australia. They provide lowest prices and no booking fee. Dine outdoors. Most of Darwin’s restaurants and eateries are located along the waterfront, and they cater for a wide range of needs including families and fine diners. You needn’t go far in Darwin when looking to grab a bite to eat! Don’t miss the crocs. 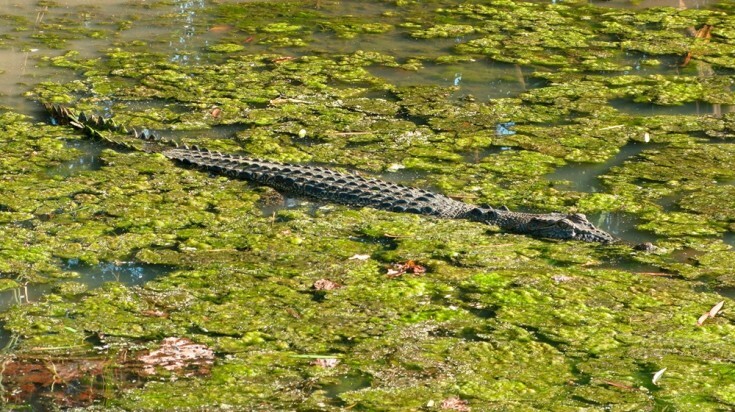 Darwin is one of the best places in the Northern Territory to learn more about crocodiles, so make sure you don’t let the opportunity pass you by.